Family planning services are a means through which women and girls exercise self-determination. Therefore, the ultimate metric for judging a family planning program is the degree to which it empowers women and girls. On an operational level, family planning programs that do not respect and reflect the agency of women and girls are inher­ently flawed and destined to fail. The new framework for Voluntary Family Planning Programs that Respect, Protect, and Fulfill Human Rights was drafted by Futures Group, EngenderHealth, and the Bill & Melinda Gates Foundation as a tool to elucidate what a rights-based family planning program should include and how it should be implemented. 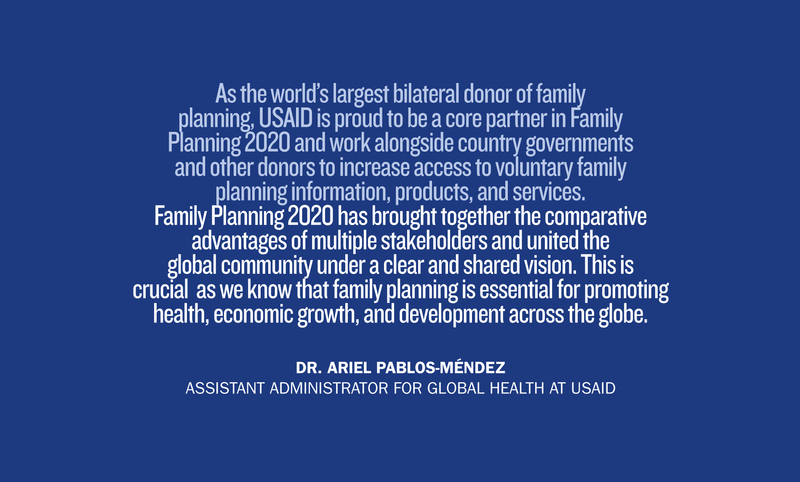 Hardee, K, Newman, K, Bakamjian, L, Kumar, J, Harris, S, Rodriguez, M, and Willson, K., Voluntary Family Planning Programs that Respect, Protect, and Fulfill Human Rights: A Conceptual Framework, Washington, DC: Futures Group. 2013.